In Rock Climbing, like many sports, technique is key. It is equally if not more important than physical strength. Unfortunately for climbers, isolating and training different techniques is currently not possible. In order to train, a climber needs to find a route in the gym that offers what it is they wish to train. They then need to make sure it is at their level of difficulty. This gives climbers no control, as no gym will ever be big enough to offer such a variety of climbs at every person's level. It hampers the ability of climbers to improve and learn new things consistently. Further, unless you are climbing with an experienced climber, there are few ways of getting feedback. A tennis player can easily practice serving, a swimmer can focus on their leg kicks, but climbers do not have control over what they train. This can make improving a challenge for climbers of all levels. 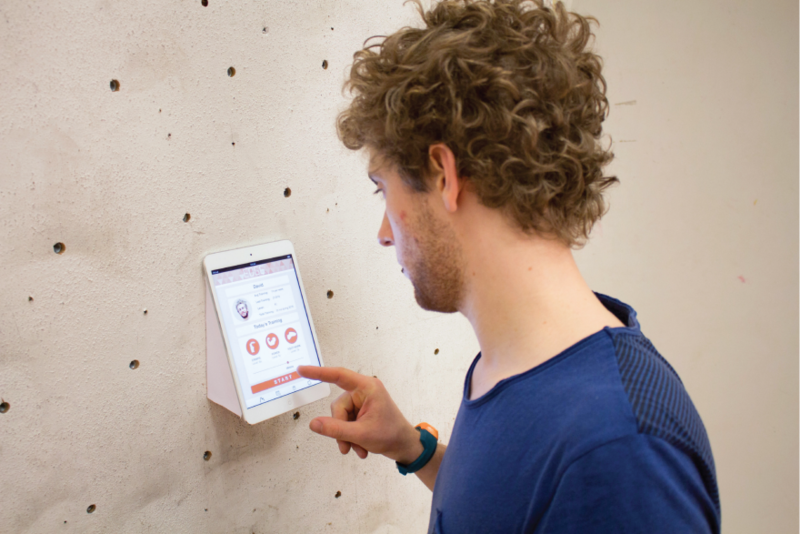 Edge is a smart interactive training wall that empowers climbers to take their progress into their own hands. The wall is fitted with dynamic holds that indicate through light and sound which part should be held. 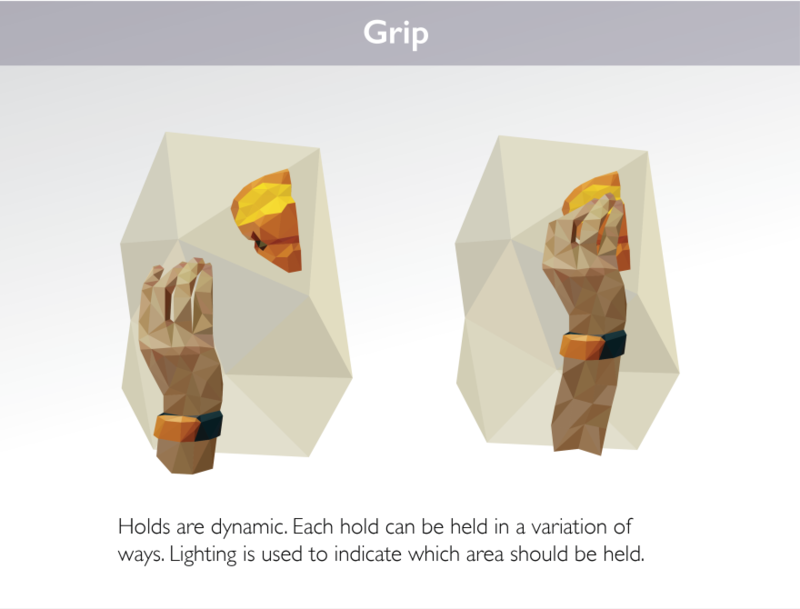 Haptic feedback from ankle and arm bracelets tells the user which limb should go to the illuminated hold. These features allow Edge to set and indicate a route suited to the training goals of the climber. 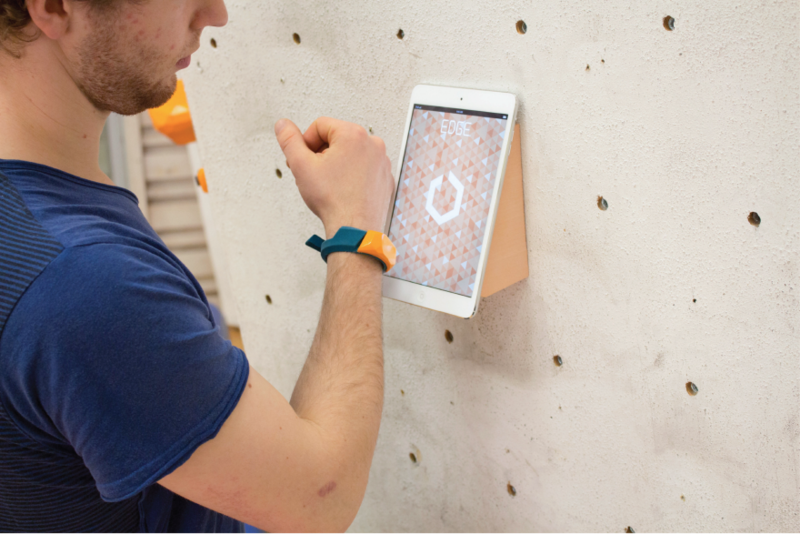 Further, the holds are fitted with pressure sensors allowing the wall to give audio feedback of the climber's weight distribution. These functions are all managed by the training application. The result is a training system adapted to all climbers. 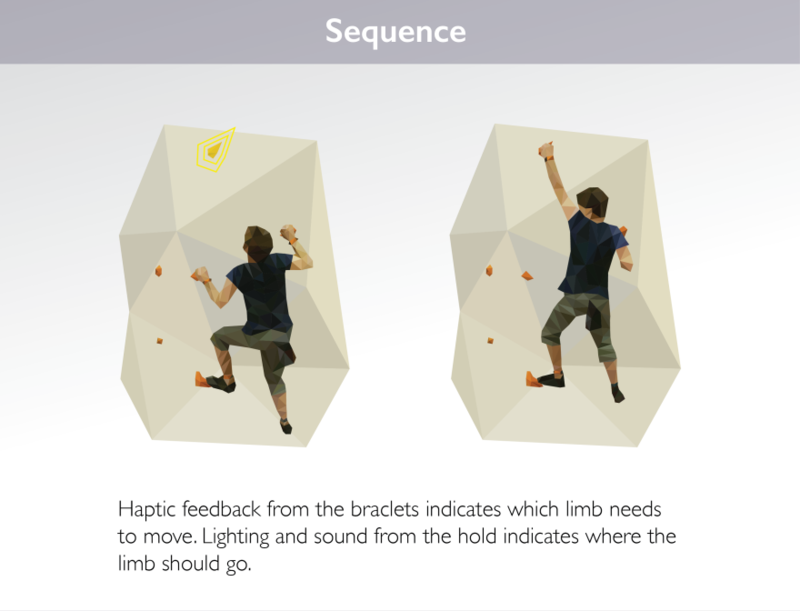 For beginners it can introduce them to the principals of climbing, giving them both haptic guidance and sound feedback to help them get the fundamentals right. For more seasoned climbers, the system may help them keep a training schedule, setting them climbs that challenge the areas they wish and need to improve upon. 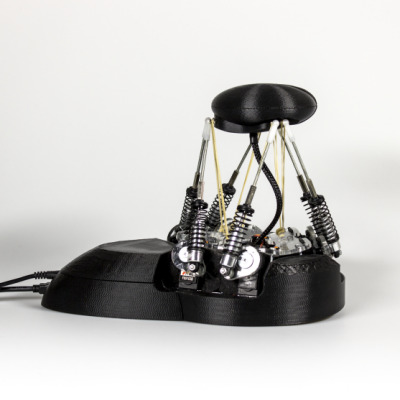 Edge was the result of a two-week collaborative project between the Interaction and Advance Product Design master programs at Umeå Institute of design. The goal of our team was to explore light and sound as a way to enhance the sport of rock-climbing. The project started with no clear problem set or intention. Rather the group commenced with explorative research and interviews. Working with a number of expert and beginner climbers the group mapped out the sport, from it's basic principles to the user journey of going to the gym to climb. Climbing as a sport is far more technical than people realize. There are a number of guiding principles and techniques that climbers follow to climb the things that they do. While strength does become a key component, technique is equally as important. Ironically, while climbers spend a lot of time training their grip or core strength, they are unable to do the same for technique. In order to practice technique, there is currently only one real method and that is to climb. The main issue with this is that the routes people climb are set by the gym. As a result, climbers are left in a situation where what they can climb is determined by others. As a result, climbers have no control over what they actually train. Further, unless the climber is with someone more experienced there is no way of getting feedback. For beginners this lack of feedback and direction can make the sport seem unapproachable. Learning to climb without proper guidance is challenging and leads to people being put off by how hard it appears to be. Another issue is that it can be difficult to improve. This affects all climbers and is normally attributed to there being no climbs in the gym that challenges the climber in the right way. Currently there hasn't been anything developed to a level that identifies these issue. 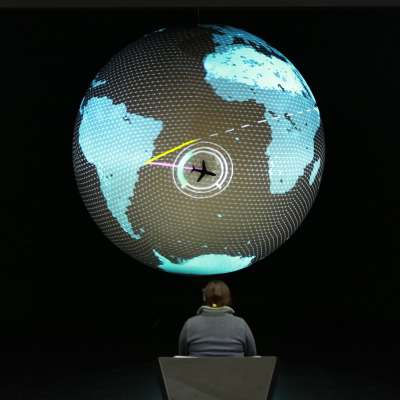 There are a number of concepts that make use of projections, however, they don't look at the physical holds or wall themselves. From these findings the group became focused on empowering climbers by giving them a means by which they can train technique and skills, taking their progress into their own hands. To develop the concept, the group utilized the Wizard of Oz approach. Numerous tests were developed to help understand firstly how this goal could be achieved and later on, what type of feedback would be needed to do this. 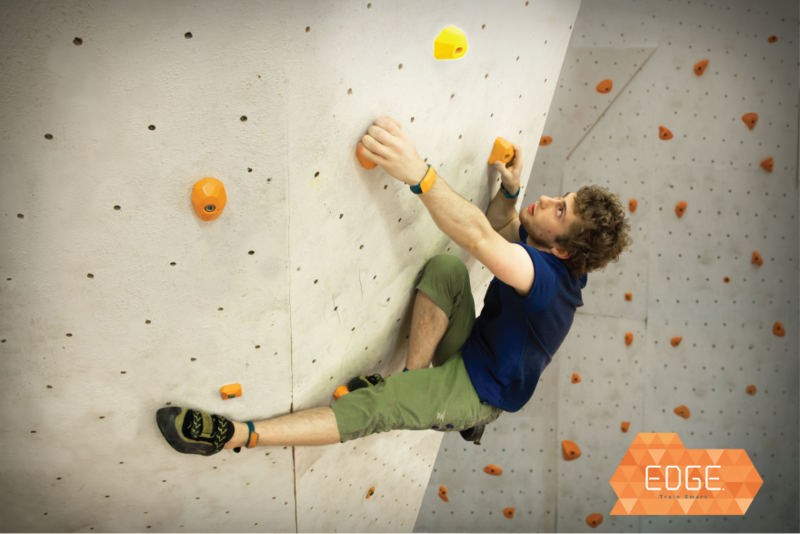 The solution Edge, is an interactive training wall that gives climbers control over what they practice and how they do it. The system contains a number of elements. The wall itself contains holds that are unique. Traditional holds are static; they are designed to be held in only one or two ways, limiting who can use them. Edge's holds are multi-functional containing a number of grips. This enables the system through illumination to allocate a grip on the hold according to the level and training goals of the climber. 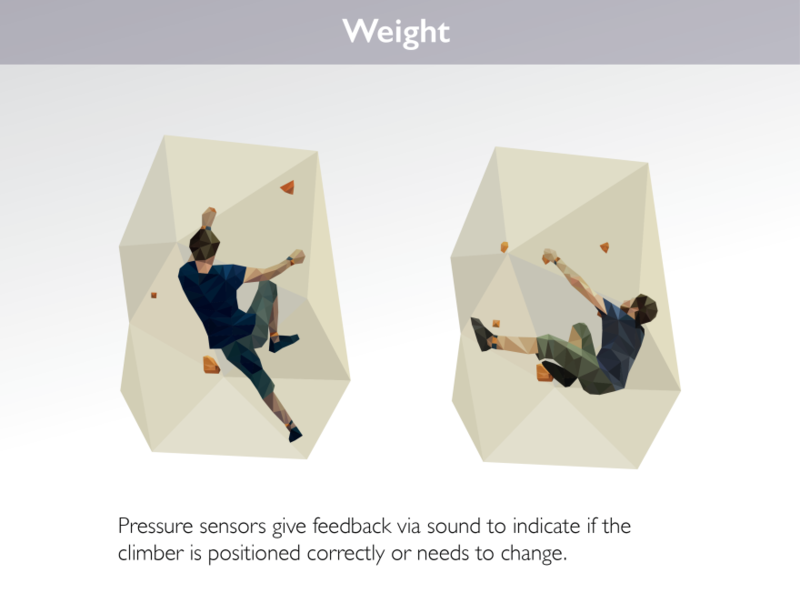 Further, the holds contain pressure sensors, allowing them to determine how the climber has distributed their weight. 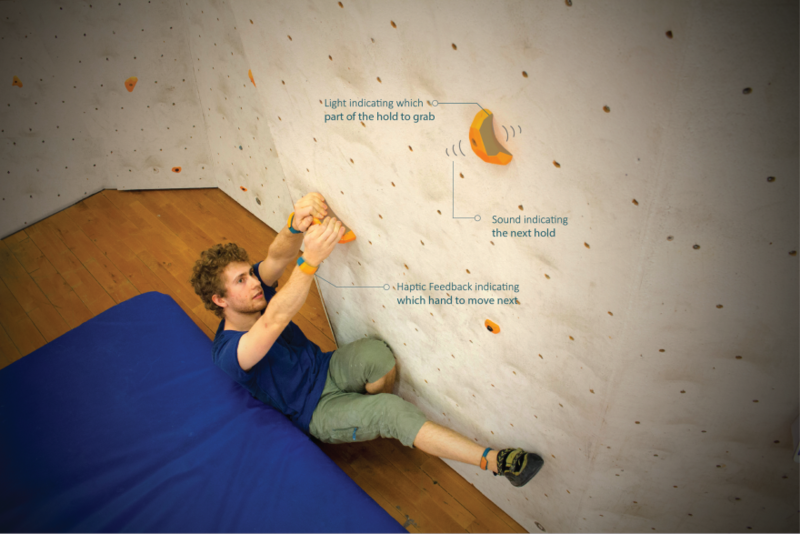 Using sounds, the system gives feedback to help re-direct the climber to assume a better position. Finally the climber is equipped with leg- and wristbands. These bands provide haptic feedback to indicate which limb is meant to go to the hold illuminated. 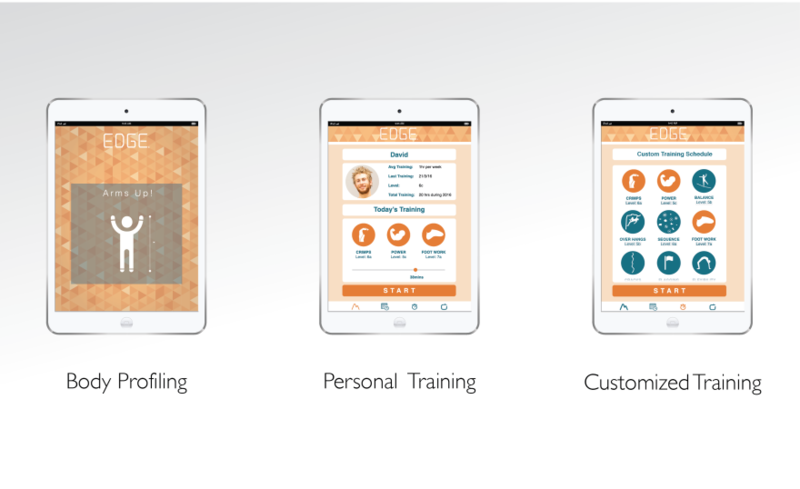 All this is managed via the Edge's training platform. This tracks the personal progress of a climber, giving training programs to help improve in their weaker areas. Training programs can be fully programmed and tuned by the climbers themselves; from the difficulty, the types of techniques they wish to practice to the amount of feedback they get. The result is a fully adaptable training system that gives the climbers the ability to dictate what they train, and how they train. 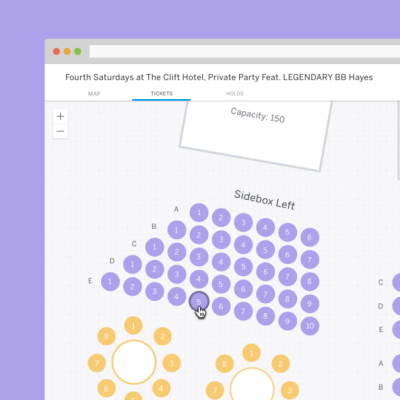 Edge acknowledges that its users will have varying abilities and needs. Further it recognizes the need to keep record of a climber's progress in order to tailor climbing routes to their goals and ambitions. 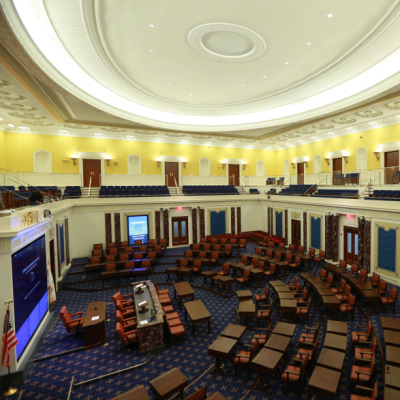 We loved that the team picked an audience and an activity that is historically analog and thought through how you could integrate technology in order to make it easier for novices to learn the necessary skills. Really nice work (device, app, wearable) that reflected an excellent process from research through to execution.